Located in the heart of Boston’s Innovation District, the Living Laboratory is home to Fraunhofer CSE’s Massachusetts R&D center for the advancement of sustainable energy systems. 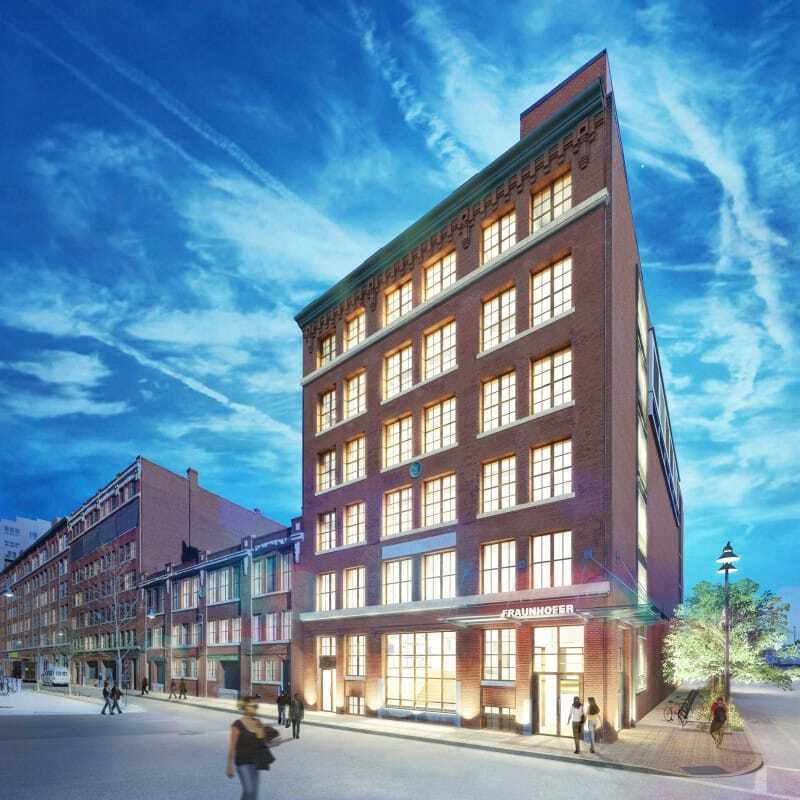 Gilbane provided construction management services for the energy-retrofit of this 100-year-old building. The first-of-its-kind Lab leverages cutting-edge design concepts and historic architecture alongside in-house research facilities, including a pilot solar module fabrication line, dedicated thermal testing laboratory, and extensive characterization/environmental testing resources. Learn more about these advanced sustainable energy building technologies and processes. A challenging yet rewarding aspect of the project’s construction was the integration of materials from many of the Fraunhofer CSE building technology partners. These manufacturers provided materials to be used for the project at no cost. 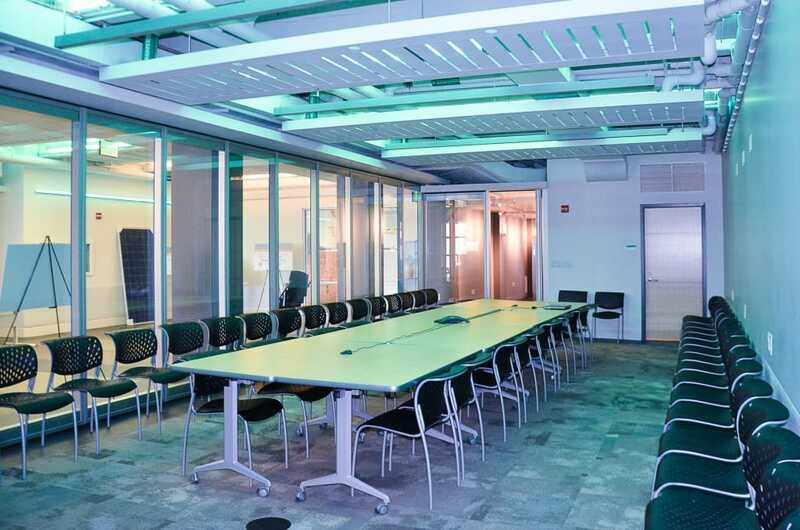 Gilbane worked collaboratively with the architect, suppliers, and subcontractors to accurately coordinate the installation of the provided materials. The Fraunhofer Center for Sustainable Energy Systems has achieved LEED Gold certification. The Center features innovative insulation materials, triple-pane windows, radiant heating and cooling, displacement ventilation, and a passive chilled beams and sails HVAC system. The project team met monthly to verify that all the necessary documentation was being kept and procedures were being followed to ensure that the desired LEED Gold Certification was achieved. Additional sustainable elements included the use of windows which also serve as solar panels, heat-absorbing and releasing walls, natural ventilation units, and auto-adjusting lighting systems.